C.W. Gortner has been putting out some great reads this last year or so! Gortner always does a fantastic job at profiling historical female figures…..most of which are famous queens etc but lately he’s been branching out to historical pop culture icons like Coco Chanel and now Marlene Dietrich. I was really intrigued by this novel because I don’t know much about Marlene Dietrich and with Gortner’s fantastic story telling abilities, I was really excited to read this one! Maria Magdalena Dietrich dreams of a life on the stage. When a budding career as a violinist is cut short, the willful teenager vows to become a singer, trading her family’s proper, middle-class society for the free-spirited, louche world of Weimar Berlin’s cabarets and drag balls. 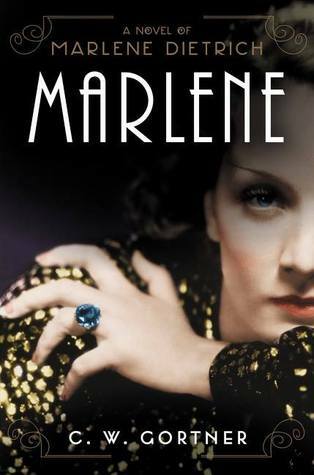 With her sultry beauty, smoky voice, seductive silk cocktail dresses, and androgynous tailored suits, Marlene performs to packed houses and becomes entangled in a series of stormy love affairs that push the boundaries of social convention. As Hitler and the Nazis rise to power, she sets sail for America and she quickly becomes one of Hollywood’s leading ladies. After the war, Marlene is escorted by General George Patton himself back to Germany, she is heartbroken by the war’s devastation. This book chronicles her life and legacy and all its splendor.